Tickets include transportation, entry to and refreshments at the Gottlieb Native Garden, lunch, and snacks and beverages on motor coach (admission to The Getty Center is free). Pay in full when registering. Tour takes place rain or shine. We’re LA bound! 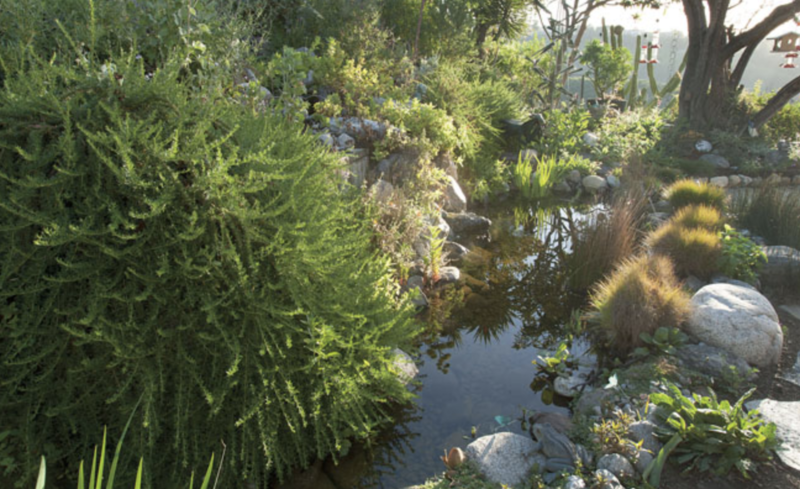 Join fellow SDHS members and garden enthusiasts to visit two horticultural stars of Los Angeles: The Gottlieb Native Garden in Beverly Hills and The Getty Center. Traveling by private motor coach from San Diego County, we will first visit The Gottlieb Native Garden, a flourishing California native plant ecosystem located just a few miles from Rodeo Drive. The garden is home to more than 200 hand-selected native plant species and nearly 400 documented wildlife species. Our SDHS group will have early admission to the day’s Open Garden organized by the Pacific Horticulture Society. For approximately two hours, we will explore the garden, meet and mingle with Susan Gottlieb, and enjoy refreshments. In addition to providing background on how her garden came to be, Susan will be available to sign copies of the acclaimed book, The Gottlieb Native Garden: A California Love Story. The book will be available for purchase at the event. After the Gottlieb’s, we’ll head up to The Getty Center which is celebrating its 20th anniversary. Before exploring the galleries and grounds, we’ll enjoy a catered box lunch, then have a few hours to meander the garden, view exhibitions, and take in the breathtaking views. The Central Garden, created by San Diego-based contemporary artist Robert Irwin, lies at the heart of the Getty Center. The 134,000-square-foot design features a natural ravine and tree-lined walkway that leads the visitor through an extraordinary experience of sights, sounds, and scents. All of the foliage and materials of the garden have been selected to accentuate the interplay of light, color, and reflection. Seven different exhibitions of art and artifacts will be on view in the galleries, with subjects ranging from Greek and Roman sculpture to a showcase of new acquisitions, including works by Michelangelo, Goya, and Degas. After approximately three hours at The Getty, we'll board our motor coach, arriving back in San Diego in the late afternoon or early evening, depending on traffic. Transportation: Private motor coach with small bathroom. Roundtrip from Old Town San Diego Transit Center and I-5/ La Costa Boulevard Park and Ride. 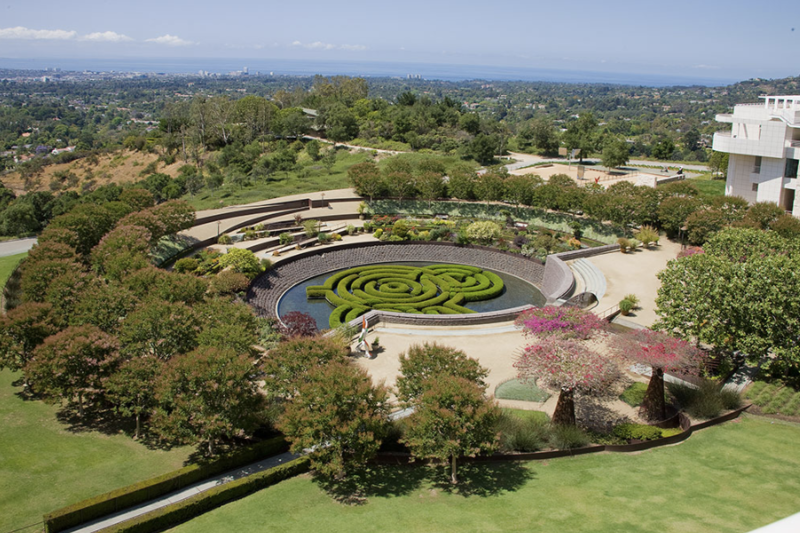 Tour Details: Self-guided tour and informal reception at the Gottlieb Native Garden followed by hosted catered lunch and time to roam The Getty Center’s gardens and galleries. There are steps and slopes on the tour and many areas are not disabled accessible. Tour price includes driver gratuities. Lunch: Catered box lunch at The Getty Center, and guests will have their choice of four menu options, including vegetarian and gluten-free meals. Sorry, no substitutions or lunch credit issued. You may opt to purchase your lunch onsite independently of the group at your own cost. Tickets include transportation, entry to and refreshments at the Gottlieb Native Garden, lunch, and snacks and beverages on motor coach (admission to The Getty Center is free). Pay in full when registering. Tour takes place rain or shine. Partial (50%) refund until March 9, and no refunds after that date. After March 9, your ticket purchase will be considered a donation to SDHS.